A bonafide Motown hit-maker in his early career, Marvin Gaye shed his skin to become one of the most intelligent, outspoken and politically-charged artists of the 20th century. 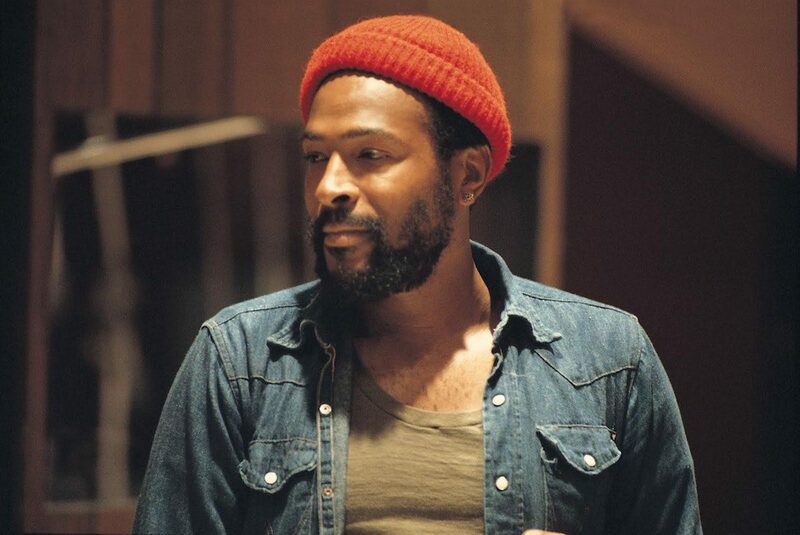 Marvin Gaye recording at Golden West Studios in Los Angeles, 1973. Photo by Jim Britt/Michael Ochs Archive/Getty Images. Gaye is brutally honest in his recalling of this story, as he was throughout his professional career. He undoubtedly had his demons, but there’s no denying his way with words and who else could talk of such a traumatic period of one’s life with such openness and elegance? Often misunderstood, Gaye’s shy sensitivity and fierce intelligence was overshadowed by his reputation as a ceaseless lover and, in his final years, his uncontrollable drug addiction, which formed the root of his personal peaks and troughs. And then there was his ongoing dilemma between serving God and satisfying his carnal desire. Although most widely known for his highly sexualised records and passion for ‘fooling around’, he was an outspoken artist who tackled race, police brutality and the injustice of the Vietnam War in his lyrics. Just listen to his 1971 masterpiece What’s Going On and see how this seminal album is more relevant today than ever. That it was even released at all is a testament to Gaye’s relentless drive to bring about social change, or at the very least awareness, despite the lack of support from his record label. Gaye admitted: “In 1969 or 1970, I began to re-evaluate my whole concept of what I wanted my music to say. I was very much affected by letters my brother was sending me from Vietnam, as well as the social situation here at home. I realised that I had to put my own fantasies behind me if I wanted to write songs that would reach the souls of people. 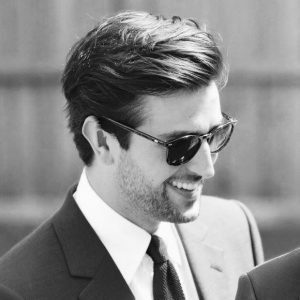 I wanted them to take a look at what was happening in the world." Motown founder Berry Gordy had a strict formula for the assembly-line pop songs that would go out under his watch though, and he described the ‘What’s Going On’ single as “the worst thing I ever heard in my life”, before refusing to release it. In an act of defiance and self-belief, Gaye released the song behind Gordy’s back, and in the weeks to come it became the fastest selling Motown single of the time. So, motivated purely by money, Gordy then ‘allowed’ Marvin to release a supporting album with free creative licence. What’s Going On was subsequently created in just ten days, history was made and The Man took a sharp blow to his previously unshakeable pride. Marvin Gaye’s life was complicated and short-lived – he was shot dead by his father in an altercation in 1984 (only two years after the release of ‘Sexual Healing’) – but the early 1970s were undoubtedly his most creative. This was reflected in his appearance too. Around the time of What’s Going On’s release, he ditched the clean-cut look that Motown prescribed to him. Gone were the sharp suits and baby face and in came a full beard, an ear piercing and more casual attire including his famous double denim and red beanie ensemble that would star on the cover of Let’s Get It On. Gaye’s transformation – both musically and sartorially – was in some ways a rebellion, a refusal to conform to what his label expected of him and what his contemporaries adhered to. And, ultimately, in evolving and flourishing as an artist, he produced some of the greatest musical work of the 20th century, politically or otherwise. 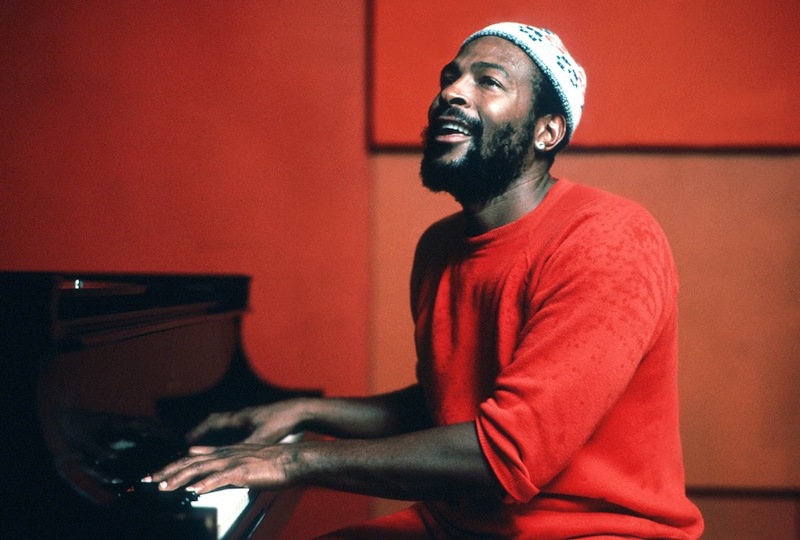 Were he alive today, would Marvin Gaye exile to Europe through choice given America’s current state of affairs? Perhaps, but either way, he would surely have something to say about it, and the world would listen. Gaye singing whilst playing the piano, circa 1970s.